Email Marketing is self-explanatory: you market to customers via targeted emails. 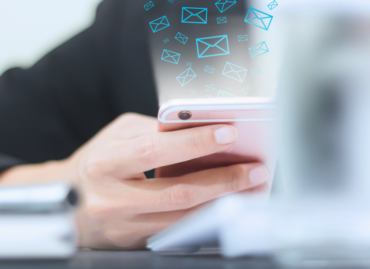 Some people mistakenly believe that email marketing is just spamming potential customers: this could not be further from the truth. When done correctly, email marketing adds value to your Consumers’ lives. T hink of email marketing in terms of snail mail. You receive flyers, offers, and correspondence in your mail. If you’re like most people, you’ll probably just recycle the flyers right away. You’ll inspect the offers a bit more closely, at least reading the return address, possibly even opening the envelope. As soon as you realize that this item is a just another impersonal form letter, into the recycling bin it goes. The one category of mail you’ll pay attention to is correspondence. Correspondence includes everything from bills to cards, official notifications to personal communication. Quality email marketing is correspondence. This is not to say that any promotional material detracts from the value of an email: far from it. The problem with most junk mail and spam is the scattershot method, not necessarily the information itself. Many consumers sign up to email lists specifically to receive news of future promotions and offers from their favorite companies. Others subscribe for industry information and current events. Email marketing can consist of newsletters from an organization or messages from the CEO. At its best, email marketing content conveys valuable information to a highly-targeted (if not personalized) audience. StartUp TakeOff’s email content marketing services allow your brand to connect with your customers. Your offers can reach your target demographic, often consumers who are already interested in and would use your product or service. Our team of experienced copywriters and marketers will take your content marketing strategies to new heights.